Each hero gets only one "attempt" per turn regardless of success or failure. I never would have thought I would love festering sooooo much! 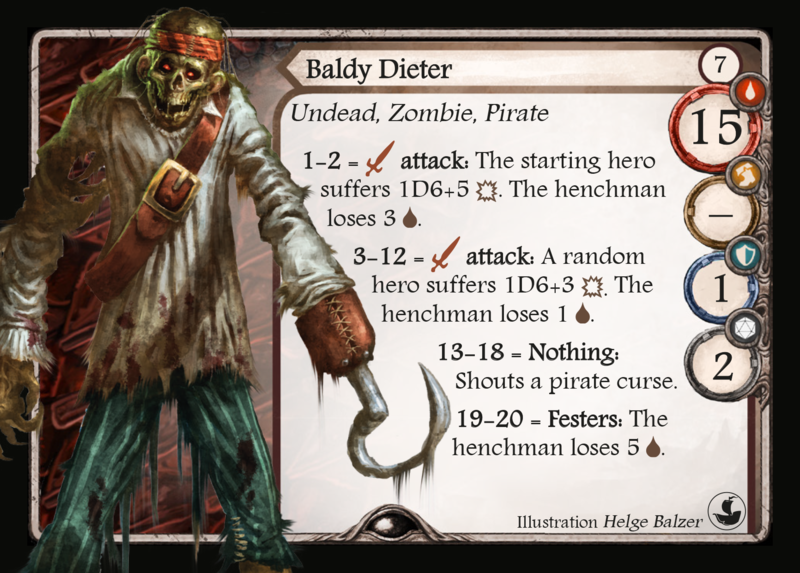 Some of the other Zombie pirates have an ability called "festers". Topic: Rietholtz's Treasure - Victory Reward? Re: Rietholtz's Treasure - Victory Reward? Topic: Captin Rietholtz - Leader Ability? Re: Captin Rietholtz - Leader Ability? Oh yeah. It happened twice in one round. Very Brutal. Rietholtz's Treasure - Victory Reward? Captin Rietholtz - Leader Ability? I had a question about Captin Rietholtz's "Leader" ability. Is this a permanent modification or is it only for that round? I am assuming it's only for that round. If a card is Removed when does the owner technically get it back? After combat is over or after all acts have been completed.